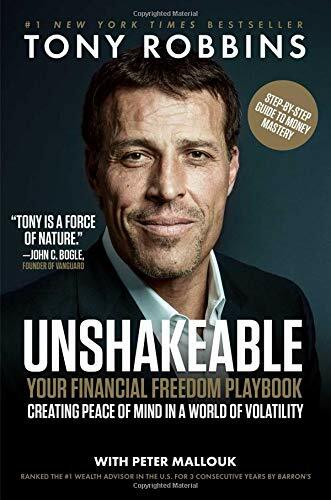 Money Master the Game Summary provides a free book summary, key takeaways, review, best quotes and author biography of Tony Robbins’ book regarding money. Tony Robbins teaches how to master your money by using seven simple steps. 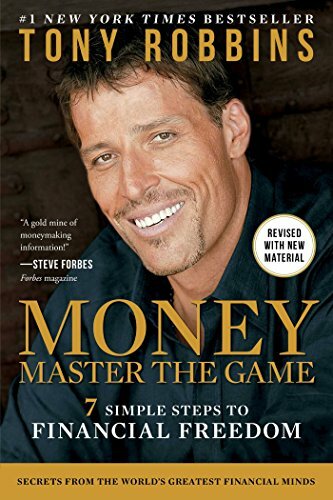 Tony Robbins stands out as a communicator in this inspiring book Money Master the Game. He shines for his pro-investor arguments, fancy quotes and simple style. There’re also discussions with 50 famous investment gurus who support his 7-step plan. Robbins offers both typical and atypical investing advice. He urges people to save, compound, reduce risk, invest low and earn high. But, he also stresses charity as a part of wealth creation. Robbins recognizes that he isn’t an expert money manager. So, he mixes and passes along the advice of experts with his common-sense tips. We highly recommend this simple approach to create a secure financial future. How to be both happy and wealthy. Tony Robbins amasses advice from 50 top investment experts. He then provides a 7-step method to build your fiscal future. First is taking control of your funds. Save it and benefit from compound interest. Second, understand the rules. For example, think the effect of fees when you invest. Third, know how much your dreams cost. Set practical goals. Measure your retirement expenses. You can do this by deciding how you want to live. Annuities can ensure life-long income. But all of them aren’t the same. So, pick wisely. Fourth, follow the risk management approach. Also, practice asset allocation. Divide your investments between high and less risky. Fifth, reduce your risk and aim for high returns. Sixth, seek expert guidance. Manage your money smartly. Look for a small investment that gives big rewards. Make wise choices. And keep working, earning and giving. True wealth is living a life of meaning. People don’t become wealthy overnight. Instead, they made mistakes and learned from them. Then they made adjustments to cope with changing markets. Their ways need knowledge and discipline. Leading American investors suggest 7-steps to invest your money. As you start this 7-step process, think about saving for your retirement. The idea of retirement is quite new. The US introduced Social Security at the time of the Great Depression. The average life of an American was 62 years at that time. But, today married American can expect that one partner will live up to 92. Its odds are 50%. And there’s 25% chance that one partner will live up to 97. This suggests the possibilities of spending 25-30 years after retirement. But, many can’t financially survive for such a long time just on savings. Retirement savings and its taxes both create significant challenges. Many people are afraid of finance and investing. Such fear may prevent their financial independence. So, use the following seven practices. But, be aware that investment decisions also have an emotional element. Compound interest is one of the most potent tools in the finance world. And it will work wonders for you. For example, Benjamin Franklin left $1,000 each to Philadelphia and Boston. He specified that the governments couldn’t withdraw the sum for 100 years. And after that, they can take $500,000. After a century of 8% interest, the amount became $6.5mn. So, people who start saving early benefit from compound interest. Regardless of the average people get, their profits will never beat compounding. It’s a critical method of making your money work for you. Saving money is the 1st step to financial security. What you’ll save today will give returns for a lifetime. Hence, saving 10-15% of your income is basic. Once this sum reaches a critical amount, it’ll compound and give lifelong returns. So, use automatic deduction from your pay-check. This way you’ll save money even before seeing it. Find your way around the myths which rule common wisdom about investing. For example, one myth is that your broker works for your best interests. And, that the fee charged is not significant. But, 96% of money managers are unable to beat the index funds. For example, from 1984-1995, just eight managers could outdo the Vanguard 500 Index. So, why pay fund managers who fight with a less costly index fund? Investors don’t consider the effect of fees on the bottom line. For example, consider yearly fees of 1%, 2% and 3% on a $1mn portfolio for 30 years. In this case, let’s assume a return of 8% over 30 years. So, after 1% fees, the investor has $7.6mn. After 2% of fees he has $5.7mn, and after 3% fees, he has $4.3mn. Now suppose the market is down. Hence, a person with $100,000 would’ve given $30,000 as fees. This means the investor would’ve borne all market risk for no return. And he still paid $30,000 to the money manager. Even worse are pension fund managers. People who handle your 401(k) accounts levy charges on top of mutual fund fees. In total, such fees can amount to 3.16% of a non-taxable account. And 4.17% of a taxable account. Being an investor, you want to cut down all costs to 1.25%p.a. This includes the fee you give for advice. Over time, this difference in fee can equal 5-15 years of 401(k) contribution. In mutual funds be aware of the difference between dollar-weighted returns and time-weighted returns. Set goals which are real and practical. Most people don’t know the money they’ll need after retirement. Measure your future expenses. Also, identify the luxuries and necessities you want once you retire. Decide how you want to live and what you can save now. The real test is living on one’s terms within your means. Annuities can ensure you an income for a lifetime. But, they vary a lot. So, choose wisely. For financial security, save maximum and get the best possible return. Also, cut down your expenses. For example, buy a less costly car, avoid impulse buys. Allow the resulting savings to the compound. Invest in index funds for tax benefits and diversity. This will also cut down your investment fees. Asset allocation is a crucial investment decision. Investors often allocate their investments among bond real estate, stocks, and commodities. But, regardless of the investments you choose, know that rise and fall is likely. During your life minimum, one investment will fall by 50-70%. This may be because of the recession. Hence, diversifying is essential. Divide your investments between non-risky and risky choices with high growth potential. These will include bonds and stocks. But, the residential property won’t come to this group. House prices have not risen for a century now. The only exception is during market bubbles. Assets which can give security are pensions, annuities and some types of insurance. Structured notes and first trust deeds are also included here. Such notes are private contracts. Under these, the investor gives money to a big bank. Over time, the bank pays back the principal. Plus, it also provides a portion of the return from investing in an index. Some notes give 100% downside safety. Also, they offer up to 90% of upside profits from the index. But, if the timing isn’t right, you won’t earn much. For this option, consult your financial advisor. Invest across various markets and maturities. Also, keep on making adjustments. Ray Dalio of Bridgewater invented the “All Weather Strategy.” Since 1991, it has produced an annual return of 21%. Hence, it is among the leading 1% in performance. The fund depends on making the highest profit with the lowest risk. Stocks are riskier than bonds. Almost three times. Suppose you have a 50%-50% stock-bond portfolio. Hence, returns will always see the equity part drop more than fixed income part. From a risk viewpoint, such a portfolio means 95% of the risk lies in stocks. The S&P 500 index lost 134% from 1973-2013. In contrast, the Barclays Aggregate Bond index lost only 6%. During this period, equities made up for 95% of the losses. This adds a new urgency for maintaining a balanced portfolio. The Dalio portfolio inquires the link among asset groups. Especially the belief that some investments are not linked. The recession of 2008 broke this idea. The Dalio portfolio claims that every asset group will be more profitable than others. Adjust this portfolio yearly. Such a portfolio would’ve earned 9.7% during 1984-2013. The timing of losses is rarely discussed part of portfolio returns. For example, some people suffer significant losses early in their careers. Or even at the start of their retirement. They may suffer declines which are hard to recover. Consider a person who retires at 65 with a portfolio of $500,000. He plans to draw 5% yearly. But, he suffers consecutive yearly losses of 10%, 13%, and 23%. This is in his first three years after retirement. Because of such losses, he could now draw only $580,963 over time. In contrast, consider a woman aged 65 with a portfolio of $500,000. She also plans to draw 5% yearly. But, she doesn’t incur losses till she is 71. Hence, she can draw $911,482 over time. This is 59% greater than the man who suffered early losses. A defensive strategy is to use annuities to ensure lifelong income. Annuities can be variable, deferred, instant or fixed-deferred. The fixed annuity has become quite popular. It’s because it gives investors control over their deposits. Plus, it has a 100% principal guarantee. Besides, it provides a guaranteed income for lifelong. Private life insurance lets buyers make infinite deposits. It then protects its gains. And, it also enables the tax-free distribution of money left to the nominees. Try not to lose your money. For this risk management is essential. Minimize your downside. Suppose you lose 50% of some investment. Then, you need to earn a 100% profit for break-even. Learn to make wise decisions with a small amount of information. It’s not possible to know everything. Hence, be ready to act even without all the facts. Keep working, earning and giving. Be focused. Take actions which empower you. Identify and avoid negative behaviors. Learn new things and utilize the free time to follow your hobbies. If everything goes well, you’ll become richer, happier and healthier. But, only money can’t ensure happiness. So, work for a healthy and balanced lifestyle. Nurture strong relations and seek pleasure in meeting the needs of others. The purpose of becoming wealthy is to make a better life for yourself. And, for other people. This includes contributing to noble causes. Move from just a life of enjoyment to a life of meaning. This is when you become truly wealthy. It is always vital to get advice on something from the experts of that field. 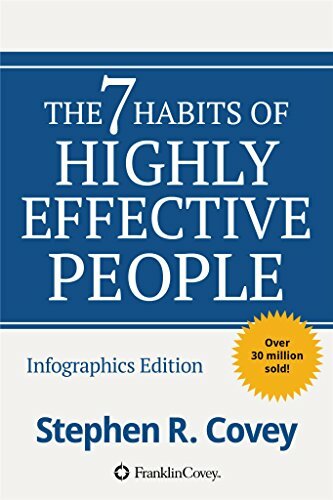 Tony Robbins did it perfectly in this book by including thoughts and opinions of managing money, investments, and financial life from experts. 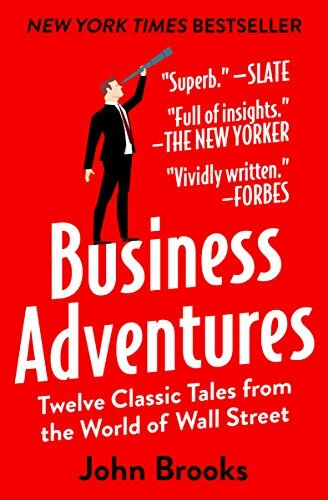 The number of top investment and financial experts mentioned in this book was 50. It is so useful to get information from so many experts of a field. The good thing about the book is that it does not look on short-term goals; rather it has explained the seven methods and steps, which are related to building a viable fiscal future. These seven methods are very informative for everyone, who is looking to manage his/her money and wealth, and want to make financial as well as investment decisions. One of the methods disclosed in this book is taking ultimate control of funds, which means that funds should be saved, and invested when chances of getting benefits are higher. One more thing that we liked was the idea of being practical. One should be allowed to make any dreams for his/her future. But it is essential to know the costs and facts of those dreams. It means that goals should be practical. You cannot set goals, which are impossible to achieve by any means. Moreover, the risk is part of the financial life, so one has to be good at risk management. A proper approach will allow managing risks more effectively. There can be high or low kind of risks in investments, so one has to look for a proper balance. When the balanced approach is used, the level of risks will be on the lower side, and when risks are low, one can go for really high returns. This book is very informative for every reader who wants to know how one can remain happy as well as wealthy. For this purpose, the management of money will be the most important things. Tony Robbins, is an entrepreneur, speaker, altruist, and best-selling author. He founded over a dozen companies in diverse sectors. Robbins donated his gains from this classic to Feeding America. Having read this Money Master the Game Summary, do you think making money is easy? Please feel free to share your thought with us. That’s what I want to read. Good article. I found your weblog web site on google and verify a number of of your early posts. Proceed to keep up the excellent operate. I simply additional up your RSS feed to my MSN Information Reader. Searching for forward to studying extra from you afterward! I really enjoy looking through on this web site, it holds superb posts. “Do what you fear, and the death of fear is certain.” by Anthony Robbins.